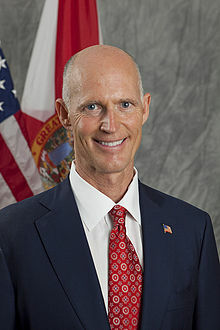 Florida Governor Rick Scott announced yesterday that he will veto a bill that would increase Florida's maximum speed limit from 70 mph to 75 mph. "AAA is extremely pleased with the Governor’s decision to veto Senate Bill 392 which would have allowed higher speed limits on Florida roadways," said Kevin Bakewell, Senior Vice President and Chief Public Affairs Officer, AAA - The Auto Club Group. "Speed-related crashes are a major contributing factor in traffic crashes including 30 percent of traffic fatalities. Maintaining Florida’s current speed limits will undoubtedly prevent injuries and save lives on our roadways. For citizens and our nearly 100 million annual visitors, the Governor’s action should send a message that safety in Florida is a top priority." The bill passed the Florida Senate 27-11 and the Florida House 58-56. State Senators Thad Altman and Andy Gardiner, and State Representatives Steve Crisafulli and Tom Goodson, whose districts include Brevard County, voted in favor of increased speed limits. Representatives Ritch Workman and John Tobia did not vote for or against the bill. The National Maximum Speed Law was enacted in 1974 to reduce U.S. fuel consumption due to rising gas prices and gasoline shortages resulting from the 1973 Oil Embargo. The federal law reduced speed limits to 55 miles per hour. In 1995, the law was repealed which permitted individual states to increase speed limits beyond 55 miles per hour. In 2009, an extensive study was published in the American Journal of Public Health which analyzed the effect of speed limits and traffic fatalities from 1995 to 2005 following the repeal of the National Maximum Speed Law. The study estimates that the increased speed limits cost 12,545 lives and $12 billion during that period. The study concluded that: "Reduced speed limits would save lives; they would also reduce gas consumption, cut emissions of air pollutants, save valuable years of productivity, and reduce the societal cost of motor vehicle crashes." Traffic accidents are the number one cause of injury-related deaths for children ages 14 and under, according to the U.S. Center for Disease Control.